A youth ministry in Alabama said they had the best of intentions when they used a quote from Adolph Hitler on a billboard that was put up Friday, according to the Ledger-Enquirer. 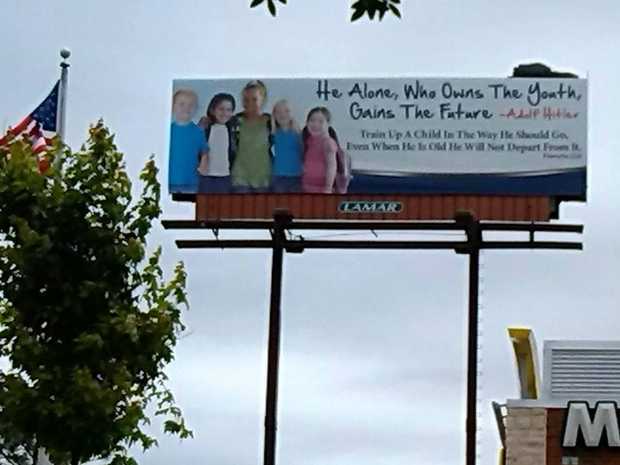 The billboard, which was put up at a mall in Auburn, featured a group of smiling children beside of, “He alone, who owns the youth, gains the future” – Adolf Hitler. Officials with The Life Savers Ministries, based in Opelika, Ala., told the Ledger-Enquirer they understand why some people found the billboard offense. They requested it be taken down Tuesday and replaced the Hitler quote with one from former President Herbert Hoover.